Why is pharmaceutical regulation in need of introducing blockchain technology? Compared to other healthcare industries, the pharmaceutical industry has a substantial amount of governmental regulation. Technological solutions are commonly developed exogenously from governmental regulation, however we want innovation to be intricately woven into its regulatory structures. Registered practitioners are required to keep records of controlled substances they have dispensed to patients. 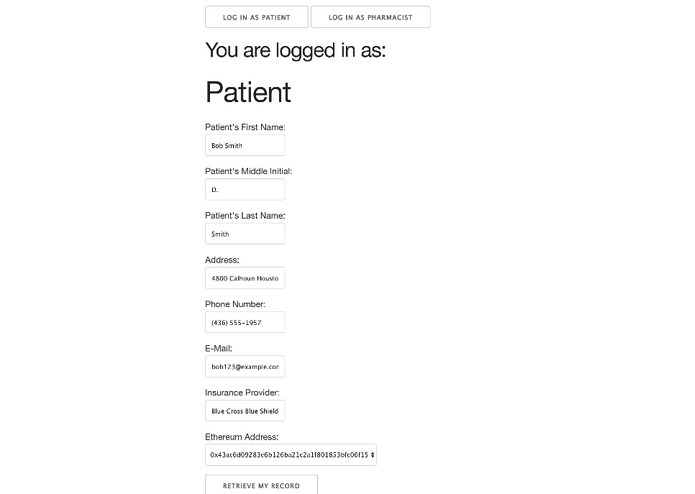 By leveraging uniquely identifiable addresses within ethereum, pharmacists could have a trusted, verified method to access pharmaceutical transactions. 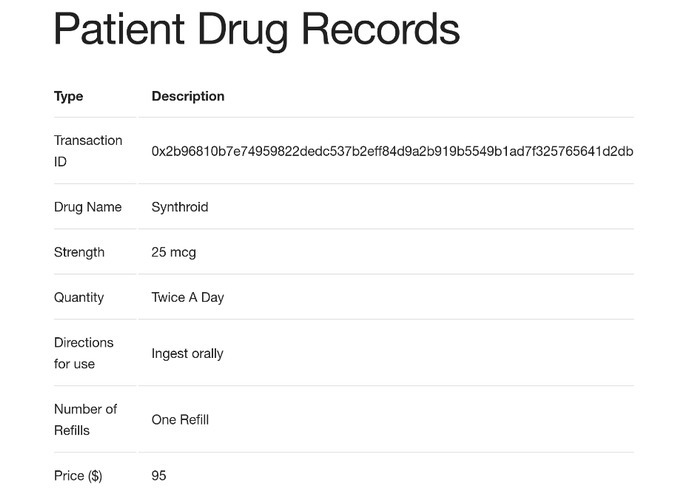 And by leveraging smart contracts, pharmacists could provide prescription information straight to the patient’s ethereum address. Clone this folder and change your current working directory to the elephant folder. Start your Django virtual environment. Open your favorite browser and type http://localhost:8000 or http://127.0.0.1:8000 (Django manage.py default settings). Developed the django website from startproject to prototype phase. Focused on forms, redirects, submission control-flow and general layout, css, and organization. I helped architect the system flow diagram of how our application integrates the the ethereum blockchain. I helped develop the HTML tables and layout. I also researched to topic and drafted the speeches.